WAIST HIGH: The Psychedelic Furs Plan North American Tour. 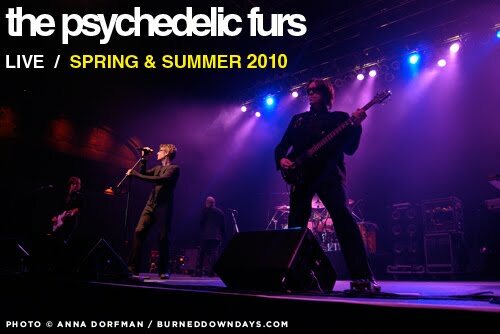 The Psychedelic Furs Plan North American Tour. The Psychedelic Furs are returning to the U.S. for a 25-date tour that will begin this May in Orlando, Florida and will end in Houston in July. The band, which currently includes founders Richard and Tim Butler, have not said whether original member John Ashton will be involved. The Psychedelic Furs will be supported on this tour by She Wants Revenge, who when asked about their musical influences at SXSW last week cited The Furs as "our touchstones." Tickets are now available at Ticketmaster.